Thorough inspection of the commercial properties paving and parking areas as well as the associated loading areas is very important as these may be high dollar items to repair replace and maintain. While some flexible asphalt parking lots may be overlaid with fresh asphalt and or simply seal coated and restriped, older asphalt parking lots may be worn one or deteriorated past that point and require complete replacement. The inspector and reviewer should pay attention to and report upon the estimated age of the asphalt is well as the historical maintenance and physical condition of the properties paving. Deeper cracks in older pavement down into the base layer may simply not be able to be properly patched or overlain, and is a clear indication that complete replacement is likely warranted. 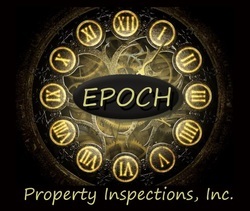 Inspection and review of heavy loading areas during a commercial property inspection or property condition assessment in particular is important as all too often an insufficiently strong pavement system may have been utilized leading to damage compression and sinking. A more durable form of paving such as higher PSI grade concrete mix is sometimes employed for these areas with much greater success. In fact, concrete paving in general has a much longer service life and much higher level of maintainability than the more affordable flexible asphalt paving systems. As a with any system commonly found on a commercial property routine inspection and condition assessment followed by application of proper maintenance materials and techniques is of utmost importance in ensuring the longevity of any paving system. 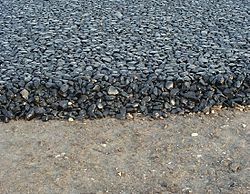 Examples: asphalt, concrete, brick, base layer, binding layer, loading dock, parking lot, pavers, pervious and impervious.